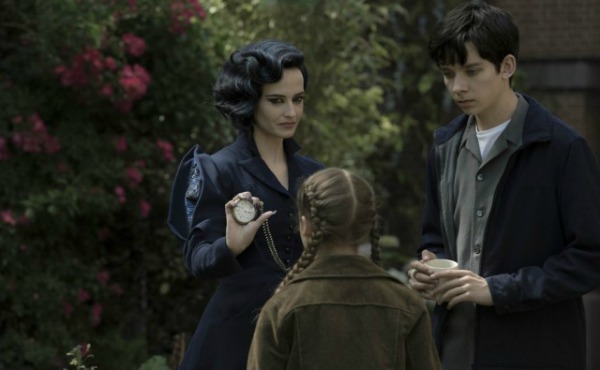 Fantasy adventure directed by Tim Burton and written by Jane Goldman which follows Jacob Portman (Asa Butterfield) who after discovering clues to a mystery that spans alternate realities and times, he uncovers a secret refuge known as Miss Peregrine’s (Eva Green) Home for Peculiar Children. As he learns about the residents and their unusual abilities, Jake realizes that safety is an illusion, and danger lurks in the form of powerful, hidden enemies. Jake must figure out who is real, who can be trusted, and who he really is. Franklin Portman: Oh, wow! Jake! Check it out. That’s a peregrine falcon. Jake: Peregrine, like the Headmistress? Franklin Portman: Sure. Hey, that’s probably where grandpa came with the tale of turning into a bird thing. Jake: Maybe. Maybe that’s really her. Jake: Hey, Ms. Peregrine, Its me Jake I am Abe Portman’s grandson. Please don’t crap on us. Jake: Oh. God, Dad I’m kidding. Miss Peregrine: Right on time. Miss Peregrine, delighted to meet you. Jake: Before he died he told me to find you. There was something he wanted me to know. He said you could explain everything. Miss Peregrine: That’s absolutely true, but there are few things I can’t explain. We are in common parlance as peculiar. Miss Peregrine: Fifty-one seconds late, Fiona. Fiona Fraunfeld: Sorry, Miss Peregrine. How many carrots do you need for supper? Miss Peregrine: Just one will do. Miss Peregrine: As I was saying some people are peculiar. Its a recessive gene carried down through families. Yet, many generations can pass without a peculiar child being born. And alas, peculiars have been persecuted through the ages. Hence, we live in places like this. Miss Peregrine: Anywhere will do if you pick the right day. Jake: You can turn into a bird. Miss Peregrine: Well, I do, yes, but that’s not very useful. An Ymbryne’s main skill is the manipulation of time. We chose a safe place, a safe day and create a loop. Miss Peregrine: A loop is the last twenty-four hours, rest the loop and the day is yours to live in again. Reset it daily, and you can stay there forever, entirely safe from the outside world. Right on time, Bronwyn, good girl. And that’s why we Ymbrynes are charged with the care of the young. Jake: And no one ever gets older? Miss Peregrine: It’s best for everyone this way, I assure you. Each Ymbryne commits herself to the creation and upkeep of a place like this. A Home for Peculiar Children. Miss Perigrine: You’ve met the twins. Miss Perigrine: This is Claire. Hugh Apiston: Millar, pass the ball! Miss Perigrine: Millard you’ve met. Hugh Apiston: [to Millard] Come on! Miss Perigrine: And that’s Hugh. Millard Nullings: Stop cheating, Hugh! Hugh Apiston: Millard, thats a foul, again! Millard Nullings: No, it wasn’t! Miss Perigrine: If you two cant play without squabbling, wish you wouldn’t play at all. Emma Bloom: Would you help me with something. Enoch usually does it but, like I said, he is sulking somewhere. Jake: Is that because of me? Emma Bloom: He is possessive. Jake: So… What you need help with? Emma Bloom: One of my daily chores. Put the baby squirrel back in the tree. Jake: That happens every day? Emma Bloom: Like clockwork. Now, would you mind tying that rope around my waist? Emma Bloom: Right. Promise to hold on tight? Miss Peregrine: Claire, why aren’t you eating? Millard: She’s embarrassed in front of Jake. Emma Bloom: Then come on. There’s somewhere I go to be alone. I have things there. Jake: Is this the place? Emma Bloom: No. This is how we get there. Emma! Your shoes! Lead shoes! Emma Bloom: Welcome to my secret hideout. Emma Bloom: Air. My peculiarity. It does what I want. Emma Bloom: Jake. Before your grandfather retired, he asked me to keep this safe. Jake: This is my grandpa’s old map. It shows you where the loops are. That’s him, that’s the man I saw. Who is he? Emma Bloom: That’s Barron. He is the Leader. Jake: Leader of what? Who are these people? Emma Bloom: Bad people…bad peculiars. Abe dedicated his life to hunting them down. These are the ones he never found. Jake: What do you mean “hunting”? Emma Bloom: They raided homes. Whole homes full of children left for dead. Emma Bloom: To save life’s. He only retired when you were born to protect you. Emma Bloom: If I tell you the rest, you have to promise not to run away. Emma Bloom: Jake, you belong here. Jake: You know that I don’t. I’m not like you, I’m just ordinary. Emma Bloom: No, but you’re not. Jake, only a peculiar can enter a time loop. Jake: No, that can’t be right. I mean, I would know. Emma Bloom: Fine. Then I’ll show you something else. Miss Peregrine: We call them ‘Hollowgasts’. Hollows. For short. Jake: My grandpa told me about people, who turn into monsters. Is that what they are? Miss Peregrine: I will explain everything, Jake. I fear its my duty now considering, but you should know that in doing so I’m breaking a solemn promise. I knew you were peculiar when you were born but your grandfather forbid me to tell you anything His dearest wish was for you to have an ordinary childhood. Jake: Well I definitely had that. Miss Peregrine: He intended to tell you the truth when you turned eighteen. He hoped his bed-time stories would pave the way. Jake: Once this loop closes, that’s it! I can’t get back to my own time. Emma Bloom: You didn’t seem very happy there. Jake: I can’t just leave! I have a family. Emma Bloom: And you felt ordinary, like nothing you do changes anything. And, now you have a chance to do something that changes everything. Jake, were in danger and you’re the only one who can see the Hollows. Jake: Yeah, I see them sure but, I’m not my grandpa. I’m not and I…I can’t fight, I can’t kill somebody… There’s only one reason that I’d stay here. Miss Peregrine: Promise me one thing, Jake. That you will look after them all. Jake: Get to the attic! Jake: Get out! Get out! Jake: It’s almost reset. Fiona, is there anything you can do with that tree? Barron: Jake, when are you going to realize you are a terrible shot with that thing? Emma Bloom: I’ll hold him off as long as I can. Jake: Get the others. I’ll meet you at the loop entrance. Barron: Eventually you’re going to run out of breath, and it’ll all be over! Death for your believe Jake and Miss Peregrine, everlasting life for me. Emma Bloom: We don’t need you to make us feel safe, Jake. Because you made us feel brave. And that’s even better. I am an enormous Tim Burton fan. From Beetlejuice to Corpse Bride, Edward Scissorhands to Sweeney Todd, I am constantly escaping to the dark, twisted, mesmerizing world from the brilliant mind of Mr. Burton. Many know this director to be interested in the unknown, the unwanted, and the unfamiliar, and I’m sure many are not the biggest of fans. Burton has dealt with Claymation, animation, and live-action film, and no matter the art form, his characters are displayed in a way to make us believe they are real. His characters are always quirky and different, usually big-eyed and almost magical, having the audience cheering them on, no matter how creepy or strange. So, of course, when hearing about his latest, quirky film, Miss Peregrine’s Home for Peculiar Children, I was ecstatic and entirely ready for a new whimsical world to be released into. This film had similar aspects from his other works, yet seemed to take on an entirely new part of the mind, examining and celebrating differences and flaws in people, adults and children, that one would normally find strange and dangerous. No matter how extreme these “peculiarities” in the film were made to appear, I believe that many can connect to this film in a broad amount of ways. But let’s not get ahead of ourselves. The film centers around a boy, Jake (Hugo’s, Asa Butterfield) and how he finds clues that lead him to a place, Miss Peregrine’s Home. This place is not like any other, located in an entirely different time period and reality. Miss Peregrine herself (Eva Green) can maneuver time whatever way she pleases to change events that should not happen, to keep the children and herself safe. Throughout the film, Jake discovers the children who live there and their peculiarities and strange ways of living, ranging from the ability to fly, super-strength, and the ability to turn into a bird, which Miss Peregrine herself shows off marvelously. As worse news is delivered to Jake about evil people and creatures lurking, he must find a way to protect his new peculiar family, fight the demanding evil, and overall find himself and the strength he never knew he had. Tim Burton has made a film that brings people together to celebrate their odd abilities and quirks, making them unique traits rather than flaws. Everyone has something that makes them different, peculiar, and if you can find that one thing and embrace it, that is something that will make you more of you, in terms of uniqueness. I thought the film overall was very wonderful, and the ideas behind it, the spectacle, and the creativity were some of Burton’s best. However, I had a few problems with acting and length. Jake, played by Asa Butterfield, was just not on his best game. I have seen this actor before, in movies such as Hugo and The Boy in the Striped Pajamas, and he was simply brilliant, making his character his own and creating a world around him that is magical and quick-witted, yet dark and real. I had real hope for him in this film, that he would reach his potential and create a complex character, struggling with himself and his world. This was not quite the case. Asa played Jake as someone who was interested, yet not engulfed, surrounded by magic, but not magic himself. The twinkle in his eye seemed to have disappeared and what was left was, let’s face it, a semi-lame experience watching him perform. It could have been because all of the other actors were quite wonderful, or just because his character wasn’t quite as peculiar. However, he is still a character that goes through difficulties, twists and turns, and emotional/mental realizations. Therefore it seems no excuse that he played it the way he did just because of how the character was written. Nevertheless, the film was still just as wonderful, even though his acting was quite not up to par. As for the length of the movie, I felt as though it could actually have been longer. There was so much interesting information happening with the children and their peculiarities, and I truly just wanted to see more of it. I thought they felt they needed to show a bit of the children’s “special qualities” and then move on to the plot and the bad guys. It could just be me personally, but seeing another hour of the children’s oddities and what they can do with them would have been just fine with me. There seems to be so much going on inside Tim Burton’s mind, and seeing more of that twisted work is something I really felt would have helped the film even more. Nevertheless, as I stated before, the spectacle of the film is something worth talking about. Tim Burton always takes something you wouldn’t even begin to think of and makes it an ordinary thing for his characters. For example, the character Emma, played by the beautiful and big-eyed Ella Purnell, has a special getaway, a place she can go when she wants to be alone, that is somewhere completely unexpected. She takes Jake deep underwater, giving him a bubble of air to breathe in, down to a giant sunken ship, filling a room with air so they can stay to talk (don’t worry, this is all in the trailer!). The entire scene, swimming through the ship, seeing old skeletons, and filling the room with air, are all incredibly wonderful to watch. Burton executed the magical, surrealness of the place, and doing so, made me feel like I was a part of it. Later, the ship springs up from the water when the children need it the most, and that scene is just as good as the last. All of the children help bring the ship to life, making it work and run again. Although it may not be clear how the ship suddenly works, we don’t question it because it’s too amazing to doubt. Again, the entire process has you at the edge of your seat, wanting to be a part of the crazy fun. 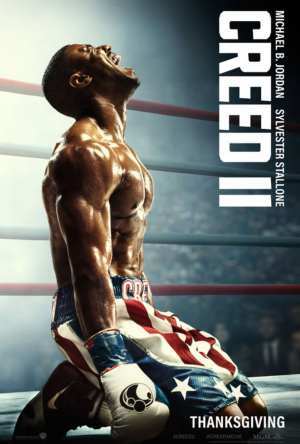 I believe this film is entirely interesting and noteworthy. Even if one is not a fan of Tim Burton, the ideas and themes hidden in the cracks of this movie will really make you think. Besides the fact that anyone can relate to having a peculiar trait or traits, the relatable theme within the darker part of this movie was incredibly intriguing. The “bad guys” of the film were portrayed to be power-hungry scientists of a sort, who feasted on the eyes of people and animals to become semi-regular looking people, who were actually monsters on the inside. I saw this as a big metaphor for authority and politics/government taking the sight away from the people so they could no longer see the right way (or in this film, just killing them), letting the “power people” make themselves better and stronger. Inside they were horrific monsters, but on the outside they were regular people. Besides the hidden meanings and connecting themes, the film has an overall magic quality that lets you escape for a few hours. How can you say no to a bunch of peculiar children using their abilities to beat evil and be the best they can be? Great review. I think that this film doesn’t deserve the bad reviews it’s gotten, it’s one of the better Tim Burton films in the past ten years. I am a really big Tim Burton fan, and I also really love Asa Butterfield, Samuel L. Jackson and Eva Green as actors. This film was really interesting, a very entertaining idea and both directed and acted beautifully. I loved seeing this film in cinemas, and I agree with you on the spectacles that Tim Burton makes that you wouldn’t think about. Nice work!